Wearables are here to stay. If you don’t already have some sort of “smart” device wrapped around your wrist you’ve probably at least thought about it. Or perhaps you have a friend who can’t stop talking about theirs, and all the fun things it does. In this installment I’ll talk about two of the hottest devices, the Fitbit Flex and Misfit Shine , to help you decide which one deserves to land on your arm right now. For sake of this review being a comparison I’ve broken it down into easy-to-digest sections. If you feel I’ve missed anything or have a question, leave your comments at the bottom. 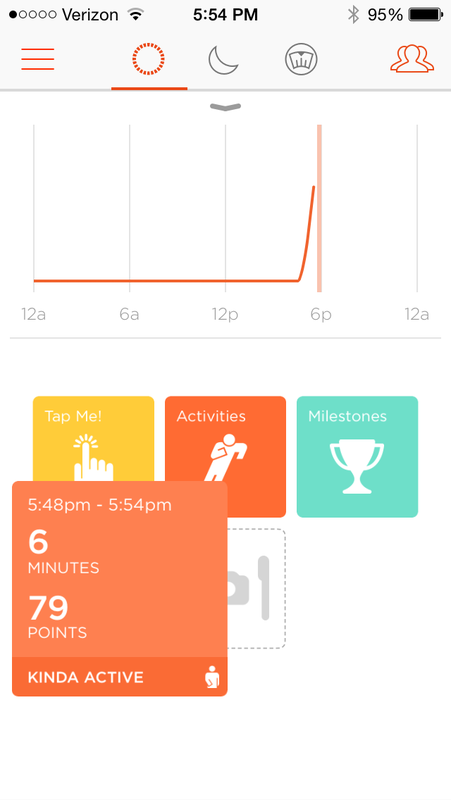 UPDATE (AUG-21-2014): Just today Misfit revealed an update to their software that adds, most importantly, integration with MyFitnessPal. For more details click HERE. Below is a comparison that was drafted PRIOR to the change. Based on that data I truly see the Shine and the Flex as two VERY close competitors, and I like each of them about equally as much. SIDEBAR: Because I’ve had my Fitbit Flex for so long, I’ve not placed a LOT of photos of that older device in this review. Please explore the rest of my blog for more photos of my Flex. With the Fitbit Flex you get a large and small wrist band, and the device itself which is about 75% the size of a AAA-battery. To date the Flex offers the most comfortable bands on the market, and their are plenty of attractive colors from them and 3rd parties you can buy. You also get a USB dongle that allows you to charge the device which you’ll need to do once every 6-8 days. And don’t lose that dongle because it is proprietary and costs $20 to replace. Lastly is a wireless USB sync dongle so that you can sync your devices to your laptop, though most users won’t need this as they’ll be using Bluetooth to sync the Flex to their smart phone. In the box of the Misfit Shine you get the device, which is around the size of 3 quarters stacked on top of each other. You only get one band, a one-size-fits-all Sports Band. But you do also get a magnetic clasp band, which allows the device to be attached to things like your clothing, your shoes, and so forth. You also get a tool to pop-open the device when replacing/installing the battery, and one included CR2032 battery that is claimed to last 3-4 months. Let it be said that the battery life of the Misfit Shine is a great selling point, and one that had me very excited from the start. 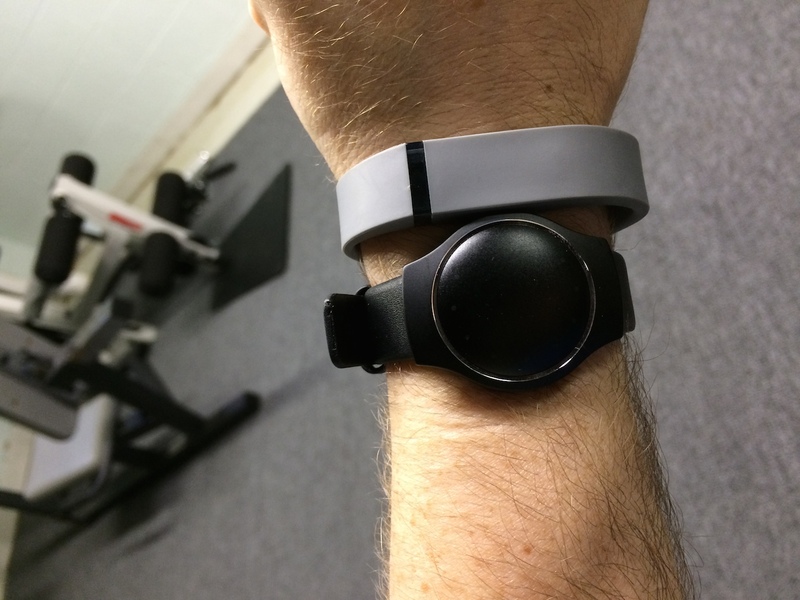 Personally I found the Misfit Shine‘s clasp a useful option, especially for activities like swimming or cycling where body-location could be more versatile. Perhaps room for future expansion exists where the location on your body could provide added data, like revolutions for cycling. But alas, the current software recommends placing the device on your ankle/shoe for biking, but offers no specific metrics when you actually do so. Where the clasp on the Misfit was nice, the wrist-based sports band was not. As others have also complained, I found it was both unattractive and dainty, offering a less-than-secure feeling. In my case I knew that going in from other reviews, so I purchased the Misfit Leather Band (Black) wrist band, which is downright awesome. Ultimately it turns the Misfit Shine into a faceless watch, and the machined rim gives it a very classy, gorgeous look. Visually it is just one gem-stone away from looking like a nice Movado Watch . If you plan to get the Misfit, I cannot stress enough getting the nicer watch bands. One thing that I noted early on was the difference of the displays on the two units. Where you get just a few dots on the Fitbit, the Misfit offers 12 dots around in a clock style. That is because beyond providing goal metrics (like the Fitbit), it also displays the time. This was a feature I loved, and found very easy to understand. However, in bright lighting the LEDs were washed out and very difficult to read on the Misfit, a problem the Fitbit doesn’t suffer from. Still the quality of the “dot data” on the Misfit was a winner over the Fitbit. Both devices are easy to setup allowing you to do so with just your smartphone to get started. Each of them has you create an account for syncing data to the cloud. 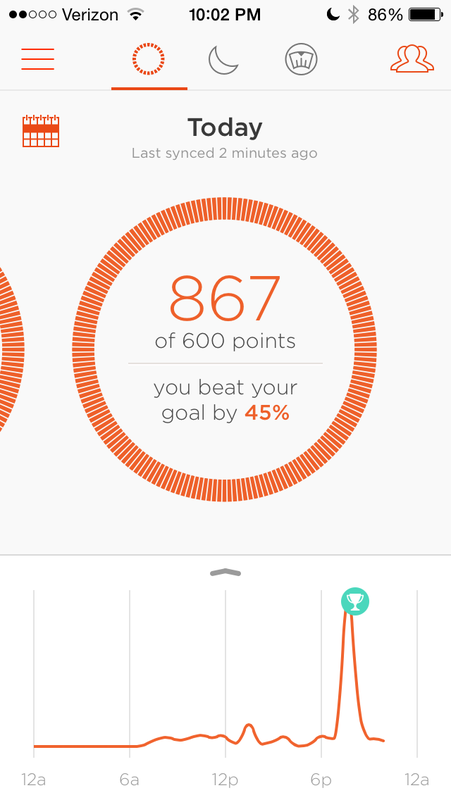 However the Misfit Shine lacks any sort of web portal to view your progress. On the flip side the Fitbit Flex offers the best web portal I’ve experienced to date for this device category. For both devices I’m sure most users will rely solely on their phone for data consumption, so the web portal issue may be moot. Once you’re up and running you can set goals. This is where the two devices take different paths, points versus steps. In these cases I’m in agreement with reviews like this one on TechRadar where I’m just not a fan of a points-based system. However I disagree with that review about the Up24, as my prior reviews and friend’s experiences prove the hardware is unreliable. (More can be read about that in my earlier blog reviews). Anyhow, staying on subject here, I’m a data geek so when it comes down to it I want to know how many steps I took, not how many “game points” I’ve won. For my testing here I set myself to “kinda active” which meant the Misfit Shine would attempt to get me to walk an hour a day, or run 20 minutes, or swim for 30 minutes, as shown in the setup photo. 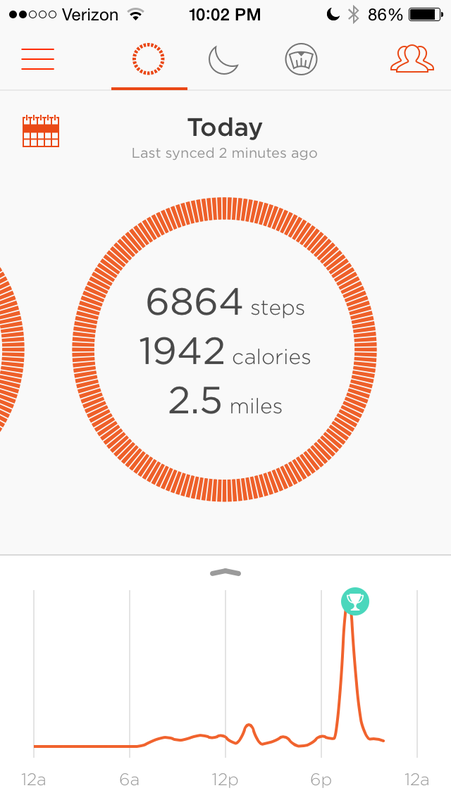 In comparison, I’ve set my step goal on my Fitbit Flex to 6,000 steps which works out given my desk-job during the day, and I personally prefer this tangible goal rather than some made-up points system. As you’ll see later in various photos the Misfit DOES indeed show you your daily step count and distance, but there is no information that explains the relationship between points and steps. 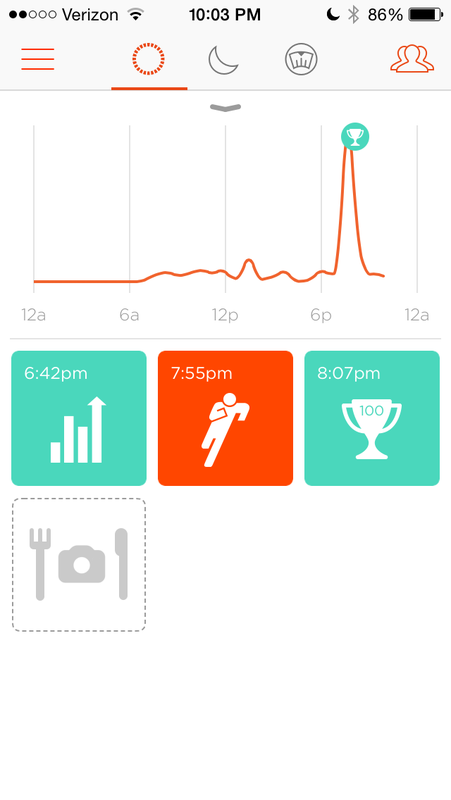 Overall both of the applications are rather similar, with the Fitbit possessing a bit more power and usefulness. As a matter of fact just a few months ago they rolled out a big software enhancement update that added running and food logging. And with that I’ll make mention that the Fitbit can integrate with MyFitnessPal, or use their own food logging features, where the Misfit does not have any true caloric food intake recording capability. For many folks food intake doesn’t seem to matter, but for me this is huge. It is my belief & understanding that diet is the leading component to any healthy lifestyle, and as such I feel your fitness tracker needs to integrate with your diet. Being active is only one part of the equation. 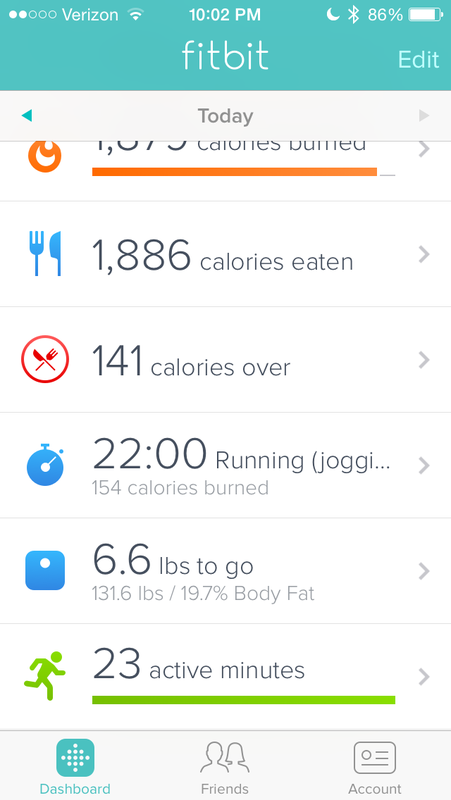 Even if you have a calorie counting food app, the Misfit would require you compare them separately — no integration. In this aspect the Fitbit ecosystem is far superior, since it records food on its own, or with the MyFitnessPal integration. As you can see again the data is VERY limited from the Misfit Shine, providing only time recorded (manually put into this mode)– but no other data. Obviously you need advanced sensors to get distance and RPM– but the Misfit doesn’t even show RPM or anything. Overall if you’re serious about your activities, neither the Misfit nor the Fitbit are going to fulfill all your needs. But I can’t help but feel like for step-based activities the Fitbit Flex is better than the Shine, and for everything else neither do a GREAT job. SIDEBAR: When it comes down to it, most activity trackers are meant to take care of recording your data when you’re NOT working out. That means the 95% of the day you spend sitting, standing, walking, sleeping, resting. In that case I was REALLY happy with the Misfit Shine in that the badges it shows are kinda cute, nice, and simple. If you were active for a small period of time it would show you that nugget in a little badge (“Mild cycling” or “kinda active”). Those little icons helped paint the picture of your day. But the moment you wanted more data, you were screwed. In that regard the Fitbit goes a bit deeper, but for an honest workout heart rate/cardio recording is the best way to go. And if your exercise is just the occasional casual jog, run or walk– the Misfit could prove to be a VERY satisfactory device. After testing the device for a while I decided to go back and compare one FULL day, after it was complete. 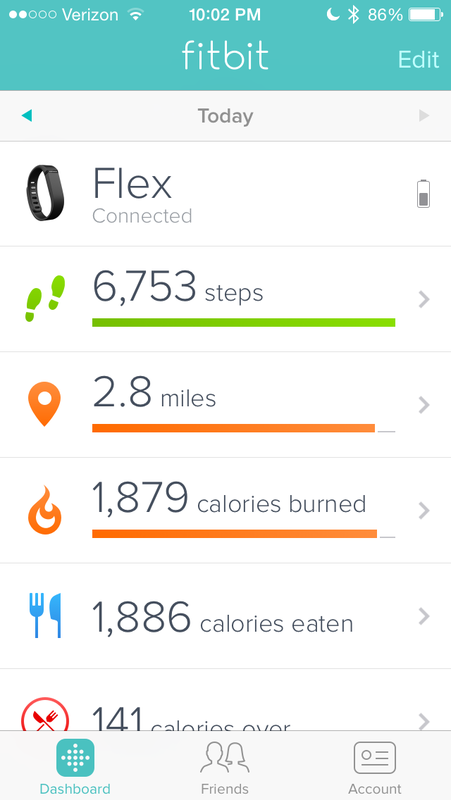 Here you can see the data provided by the Misfit Shine compared to the Fitbit Flex. 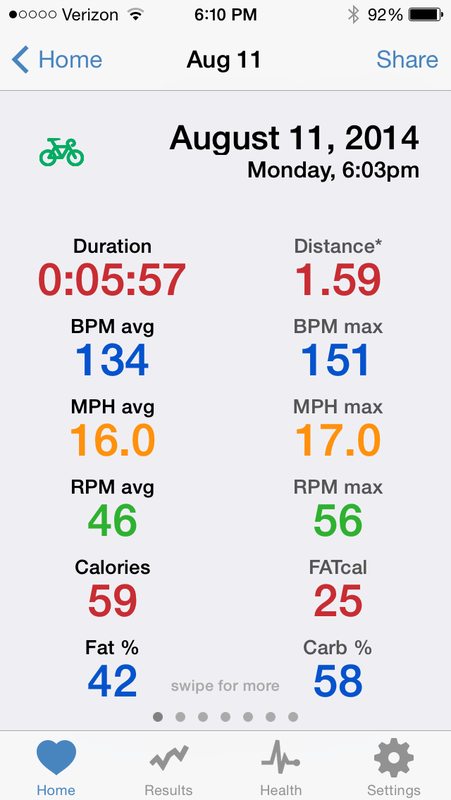 Note that on this day I performed an approximately 23-minute “fast walk” on my treadmill, but I did not do any “manual” activity recording on either device. In this instance you can see both apps were what I consider to be VERY close. Calories burned over the entire day differs by only 63, and steps are only 111, apart which is less than 2% — acceptable to me. 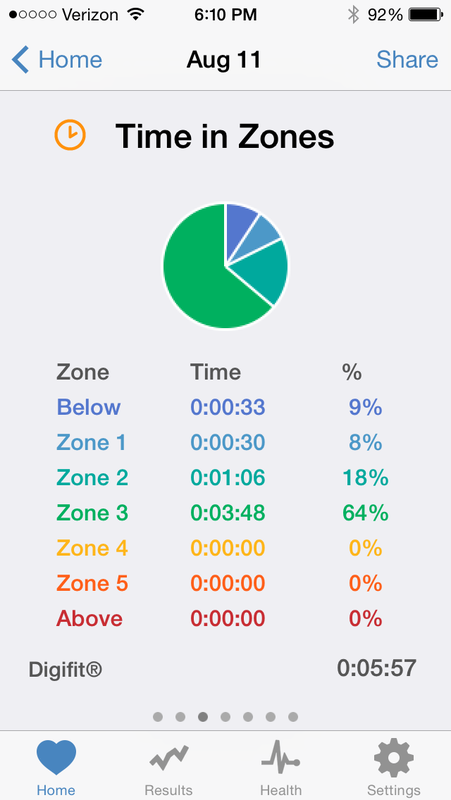 There is a greater variance in distance with the Fitbit showing 10% more covered, but that is trivial. In both cases you can see that I went for that 23-minute walk, though again the Misfit shows only the points/time if you click on that red icon at 7:55 PM — and in truth the Fitbit would show no more data either. But if you WANTED the Fitbit at least has the capability to show more info, if you want. SIDEBAR: Both devices record sleep and according to some setting on the Misfit it said it could wake you up during periods of light sleep. I do NOT care about recording sleep data so I did NOT compare/test that here. I’m also not sure how it would wake you up as I saw nothing for setting alarms on the Shine, where the Flex has the ability for silent vibration alarms. That is a feature I really do love! Perhaps something the Shine will add down the road? If you don’t already have a fitness tracker, and you’re just looking to grab a device that can help you stay more active, the Shine is probably a good way to go. You’ll never have to charge it, and the versatility is great. However, I can’t help but feel like they are missing the mark with the points versus steps, and the lack of data reporting for the user. If they added integration to MyFitnessPal and swapped over to a true steps-only system, it would truly be the PERFECT device for me. And for most consumers…. In truth the ONLY reason I cannot suggest the Shine is because of diet integration. If that factor doesn’t matter to you (it does to me), then without a doubt the Shine is actually better than the Fitbit in enough other categories to win me over. But for me that one difference makes all the difference to me. I’ll be watching you, Misfit Shine …. make a few changes, and you may just knock the Fitbit Flex right off my wrist! I have a Fitbit Force and the Aria scale. I keep checking out other systems to get over my annoyance of charging the device (lasts a long time but invariably needs charging the day I go out of town and it requires a special cable just to spite me) and time display requiring a push of the button (it amazes me how often I want to know the time when I am carrying objects and thereby unable to push the damn button). My kingdom for an e-ink screened Fitbit that charges with a moving weight system like an automatic watch. Check out my review of the Garmin Vivofit — it has an always on display and the battery lasts a full year. There are short comings for sure but it may fulfill those two desires you mentioned. 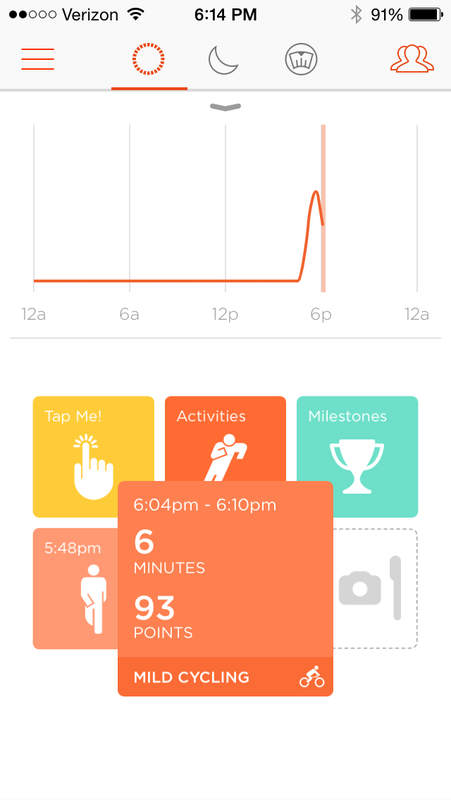 I’m two days into the Misfit Shine, my first fitness tracker, and I love it. I just wanted to mention that the Misfit Shine IS integrated with My Fitness Pal, which I also use. I am seeing synced and updated MFP data like calories per meal in highlights and others within my Mistfit iOS app, and conversely I am seeing additional calories added to my overall MFP total from exercise completed and tracked via the Misfit Shine. Maybe I’m missing something or this article predates that integration, but as you mention, for light to moderately active folks who most walk, hike, do step machines, bike, etc., trying to get back into shape (i.e. me), this is probably the best alternative out there in terms of look and feel, ease of use, and price. Talk to me in a month or two when the strap breaks or something 🙂 So far, VERY good. Yes this article pre dates the MFP integration. But if you go back and read the article again you’ll notice in the fourth paragraph I noted an update for this. It is in italics though apparently still was missed. Check it out. And thanks for the feedback!